We handle our clients’ projects from concept to clean up, answering their questions in plain English. Our unique background in engineering, project management, and residential construction allows us to deliver projects with unparalleled quality and attention to detail. We serve as our clients’ single point of contact throughout the entire project, taking full responsibility for project results. $40,000-$150,000 Kitchen Renovations. $30,000-$75,000 Master Bathroom Renovations. $20,000-$35,000 Guest Bathroom Renovations. $50,000-$150,000 Outdoor Kitchens. $100,000-$300,000 Kitchen/Bathroom/Master Suite Additions. These are typical ranges but as always, the actual cost depends on a number of factors. 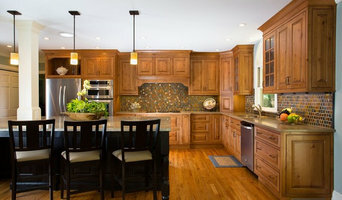 Remodeling projects for the kitchen and bathroom are different than for most other rooms in the house. In addition to the regular issues of paint colors, flooring, and window treatments, kitchens and bathrooms have cabinetry, plumbing, work areas, and storage needs that have to be addressed. The design has to be a balance of aesthetics and function. A properly designed space can make working in the kitchen more enjoyable and an inviting bathroom makes getting ready for work a little easier. Since proper design is critical to the success of a kitchen or bathroom project, Momentum Construction utilizes a design/build approach. This means we are responsible for creating the design as well as delivering the finished project. Momentum Construction is the place to start your kitchen or bathroom remodeling project because we can design it and we can build it. 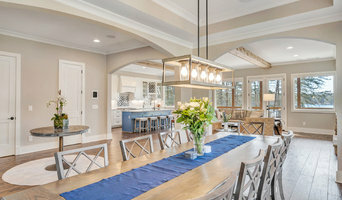 We are a full-service General Contracting, Remodeling & Insurance Restoration Firm based in Atlanta, GA. Great Design, Strong Structures: We strive to design and build to the client’s taste with the highest aesthetic standards and superior workmanship. Genuine Relationships: We value each client individually and go out of our way to give clients the attention they deserve. We love the “personal touch” we provide. Exceptional Quality: We do not cut corners and we don’t let our subs do it either. We would rather sacrifice profits than sacrifice the quality of our work. We always correct any mistakes even if it costs us to do it. Total Integrity: We let clients know of potential unknown or hidden costs ahead of time. We certainly need to make a profit, but we are happy to show clients where the costs and markups are. North Atlanta Full-Service General Contractor Best of Houzz Winner!